Steve Wentz is a long-time downhill ripper who's ridden a variety of different equipment over the years. 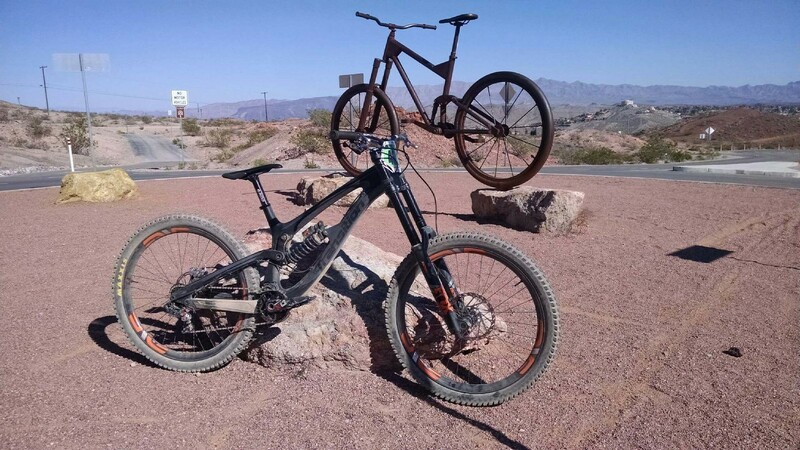 He's currently riding Transition frames with FOX suspension, ENVE wheels, various Gamut components and Burgtec offerings. Steve is one of Vital MTB's contributing testers and knows what works and what doesn't. When he's not racing the clock, exploring new trails or scarfing down unique cuisine, he can be found in a mini-excavator or with a shovel building trails around the world as a partner in Momentum Trail Concepts. Grips: Sensus Swayze (thoroughly comfy) non-lock-on but super glued. Steve shoots his POV videos with a GoPro Hero 4 Black and EVO Gimbal.